I am always looking for new ways to prepare food. I saw this recipe and liked that there were ingredients I regularly have in my kitchen. The recipe initially calls for ground beef, but I used ground turkey meat. I don't eat beef, and I ground turkey is a healthier alternative. I've also never made any kind of casserole , and Im always into trying new ways to prepare food. It tasted amazing , and was a great alternative to simple burgers and french fries. This is a great dish to get out of the "what to cook for dinner" rut, please comment at let us know if you enjoyed the meal! In a large pot of water, boil the noodles all the way through. Drain and rinse with cold water. 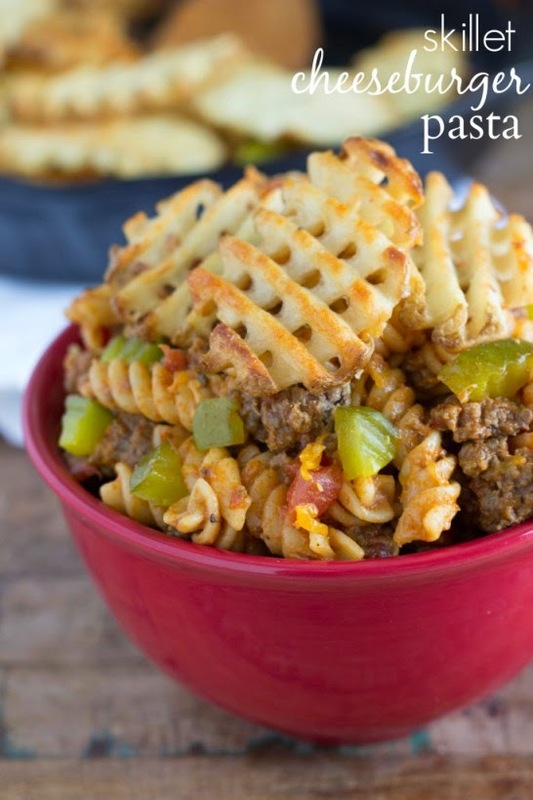 Meanwhile, follow package directions to cook about 15-20 waffle fries (or desired amount to top the pasta with). In a large skillet, cook the ground beef until all the way cooked through. Drain any excess fat and add in the chopped onion and minced garlic. Stir until fragrant and add in the ketchup, mayo, and mustard. Stir until completely combined. Add in the drained petite tomatoes, and stir. Pour the cooked pasta into the skillet and then top with the cheese. Stir the cheese around until it's melted. 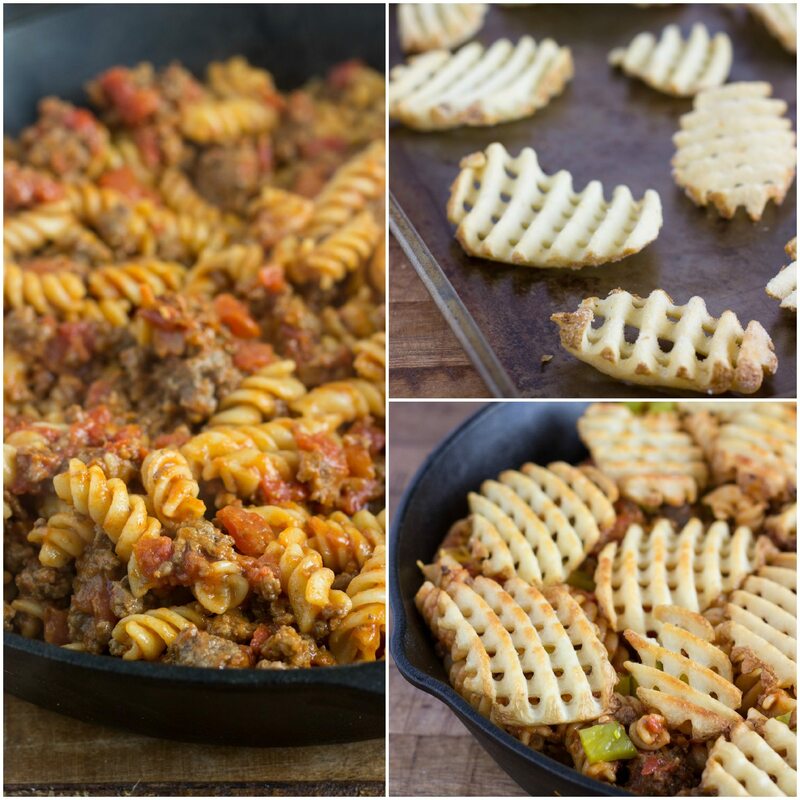 Top the skillet with the chopped pickles and then the waffle fries and serve immediately. This looks pretty tasty. The next time I'm able to cook I'll definitely give this a shot when I'm in the kitchen throwing down.